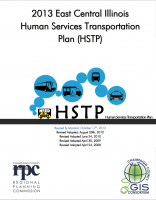 This National RTAP technical brief focuses on recruiting, hiring, and retaining transit employees. It also identifies strategies for motivating and empowering employees, training employees, and conducting performance evaluations. The Coalition for Smarter Transportation published a Transit Tech Toolkit designed to provide information to transit agencies and municipal officials looking to incorporate multi-modal fare media collection and trip planning. The toolkit contains policy reports, active RFPs, RFP samples, webinars, and a vendor directory. *Please be sure to notify Mable Kreps if you’re sending participants to this training.